What I find interesting is they did not mention the gasket anywhere! It seems to me they first did a “re-tightening” effort that might of been with a torque wrench but as you can see in the photo there were NO FLAT WASHERS! Also hard to see any anti-seize on the bolts but hard to say. Either way, the torque would have some errors. Second it seems they might of replaced bolts but kept the gasket in place since they did not bring the system down. 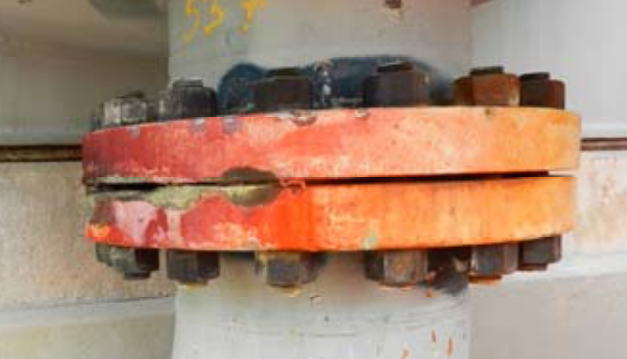 In summary, a flange leak in one of the most dangerous parts of the plant was left to leak and eventually caused massive damage to the plant. leaks are not something to take lightly in a refinery! Report on CSB news conference here.